Looking to find the best Italian gelato, the best handmade gelato? 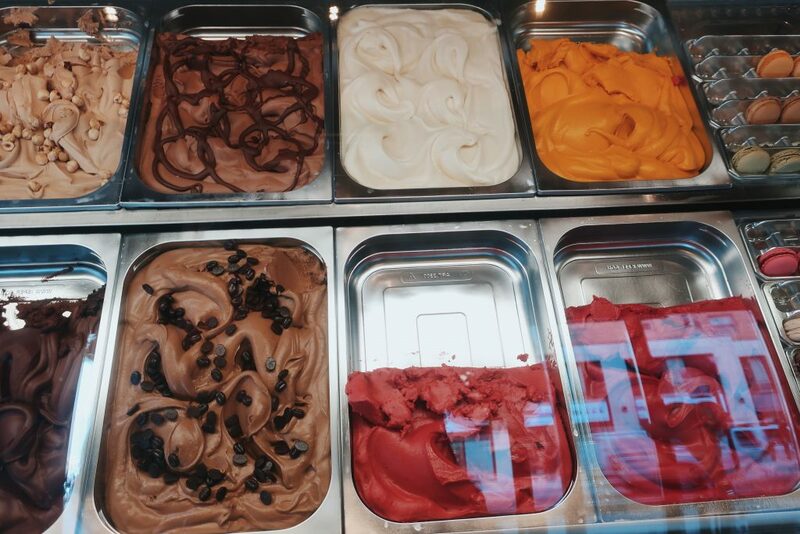 We’ve written a quick guide to help you spot authentic and all natural gelato in Italy. If you follow these tips, you’ll be able to find the best gelato in Italy. As a practical guide, we’ve also included some well-known and popular Italian gelato brands that you can trust. And, if your mouth is still watering for more, you can check out my maps and see where the local favorite gelaterie are located! We have attractions maps, that include the best gelato shops, for Rome, Florence and Venice. 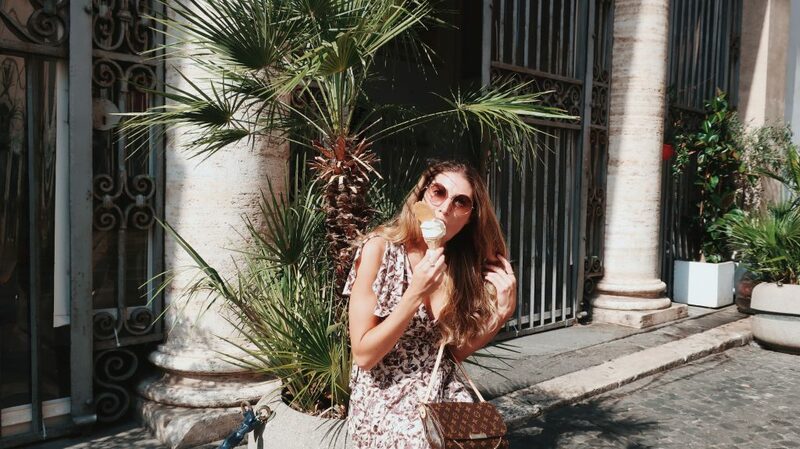 As life-long ice cream lovers, you can bet that we did our research on gelato before landing in Italy. Somehow, when we got there, we still found ourselves confused about how to identify the good stuff. It’s tricky! Everything looks good. So, how can you tell? We’ve written this article to dispel some myths about quality gelato & to guide your search for the tastiest scoops. Round metal containers with lids are preferable to long open metal containers. This was one piece of information that confused us. It was something that we had read in many places. The rationale here is that the closed containers provide a higher precision in temperature regulation. So, if an establishment takes care to maintain their gelato temperature carefully, they likely care very much about its quality. While this may be true, it is false to assume that gelato held in different containers is necessarily poor in quality. While plastic containers are certainly a red flag, I’ve tasted many delicious gelati that originated from long oval open-faced metallic containers. In fact, I’ve had many local Italians recommend (as their favorite) gelato that came from such containers. Metal containers are always preferable to plastic containers. The common doctrine dictates that you should avoid any brightly colored and heavily dressed up gelati. Bright colors may indicate use of artificial dyes while muted colors may promise more natural ingredients. This is in fact true but should be taken with a grain of salt. When reading recommendations about gelato, you think “sure, it must be quite easy to pick out bright artificial colors.” When looking at two pictures of gelato side-by-side with one obviously bright and the other comparatively muted, it looks easy. This, you may soon realize, is not always as clear in practice. Fruits like raspberry can exude some beautiful colors. Especially, if the shop is serving sorbet next to their gelati. Seeing a somewhat questionable pink hue should not necessarily turn you away from a tasty treat. 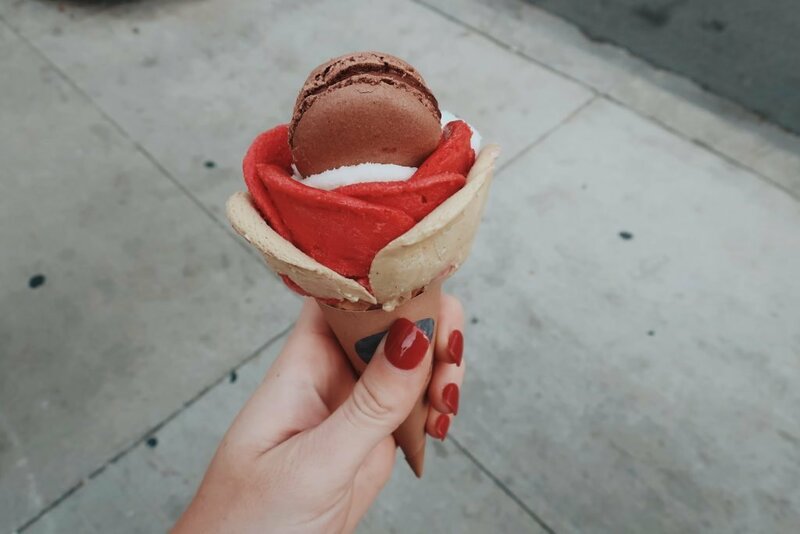 However, you should be mindful to avoid flashy designs and crazy (or Americanized) flavors, like “Oreo” or “Kit-Kat.” You may see some quality gelaterie serving “Kinder” or “Nutella” flavors, but you won’t see more than 2 or 3 such items in an authentic Italian gelato shop. Also, tourist traps commonly dress up their gelati with fruits, chocolate swirls, candy and anything else eye catching they can find. If this is the case, and the location is on a heavily trafficked path, I may reconsider. Gelato should not be too tall. This is an important one. Avoid anything piled high! It won’t be difficult to spot either. You’ll think “Wow, how is this gelato supporting itself in such a high arrangement? How is it not melting?” That’s your cue to walk away. Gelato should be dense, that’s why it’s often scooped out with a flat spatula. It also melts fairly quickly in the hot Mediterranean sun. If it is able to maintain a tall arrangement and not melt, it’s likely made with vegetable fats and emulsifiers (not the good stuff). I wanted to mention these two gelato store brands, as they are world famous for their reputation in delivering a quality product. Also, you’ll be able to look them up in most all major Italian cities. So, if ever in doubt, go with what you know. Grom does serve their treats from those famous round metal cylinders with a lid. Visit their website for more eye candy here. Amorino is known for their gelato macaroon masterpieces. Here, you can choose as many flavors as you’d like regardless of the size! They offer gelati and sorbet. If you’re looking for small, locally owned and operated, delicious natural gelaterie, you can refer to my maps. For all my Italian destinations, I’ve mapped the best gelato stores. You’ll find them with the pink pins in the Rome Attractions Map, Florence Attractions Map and Venice Attractions Map. Before your trip, make sure to read: Should You Book a Tour in Italy? & Where to Eat in Italy.